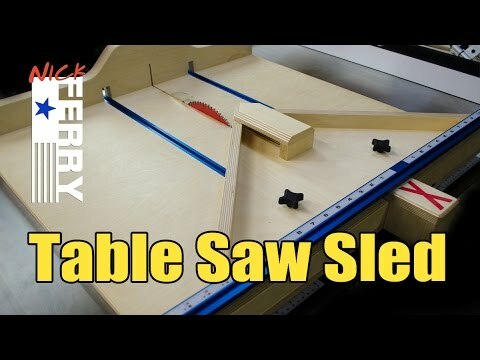 Table saw cross-cut sled and miter sled all in one - if you liked this video please share it. This is by far the best table saw crosscut and miter sled I have ever made. Making perfect square cuts in wood and being able to make 45 degree cuts all in one table saw sled was a must for me.